I have now watched the first four episodes of the BBC2 series of The Last Kingdom. Halfway through the series and it’s about time to voice my opinion. 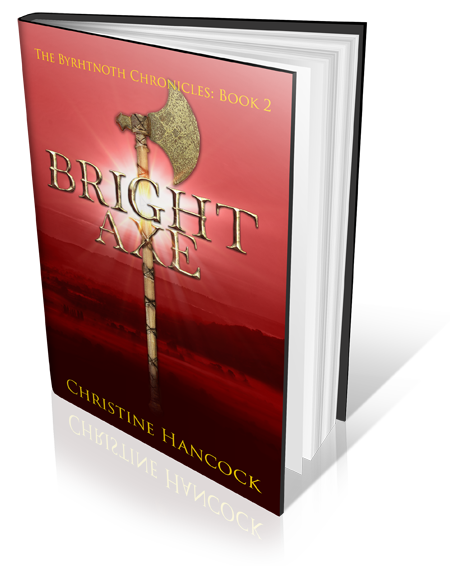 How does it compare with the books by Bernard Cornwell? I started reading the Sharpe novels long before they were televised. I knew what Richard Sharpe looked like – he was tall and dark. Then he appeared on TV in the shape of Sean Bean – this was not right. But after a while I got used to him, I saw the character in that form in the later books. Now, exciting as Mr Cornwell’s books are, the same characters turn up with different names. In the Grail Quest series, Thomas of Hookton is Sharpe with a bow. When Uhtred appeared in The Last Kingdon, the first of The Warrior Chronicles, he was Sharpe with a sword – and looked like Sean Bean! When I first heard that the book was to be made into a TV series I have been looking forward to it. I realise that Uhtred would be played by a different actor – Sean Bean is too old now (at least for the young Uhtred) and has become known as a character in another, slightly similar, series. When Alexander Dreymon appeared, he was all wrong. Too dark, too pretty and as for that silly goatee beard and moustache, words fail me. Alexander Dreymon. Stand well back Brida or he’ll have your eye out. One of the most distinctive characters in the books was Father Beocca – very ugly, with red hair, a squint, palsied hand and a club foot. Couldn’t they have given Ian Hart a limp in the TV version? I will probably get used to him, but he’s not “my” Father Beocca”. That brings me on to the costumes. What on earth are they wearing? What is that strange tunic with the toggles on the shoulder. Once I spotted it on Beocca, it was everywhere. King Alfred’s dressing gown (well it looks like a dressing gown!) Oda, senior & junior, even Uhtred’s father. All slightly different. There are a couple of monks that appeared in several scenes – I am waiting for them to be joined by Rasputin. Are the costumes based on Russian jackets? Chinese? All I know is that they are not Saxon. Do the producers think we won’t be able to tell one character for another unless they are all dressed differently? Unfortunately that is probably true. I don’t think I have seen one genuine Saxon tunic and as for winingas (leg windings – described here as “almost ubiquitous on manuscript depictions of men during the Anglo-Saxon period”) not a sign. Then there is the equipment. I am waiting for the moment when Uhtred turns round suddenly and knocks someone out with that lump of amber on the end. And the shields. 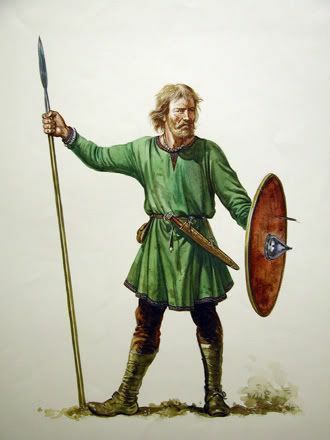 I suppose they decided no-one would be able to tell the Danes from the Anglo-Saxons if they all had the same round shields (Hint – that’s why they painted them with different designs.). The unwieldy rectangular shields, described somewhere as redundant picnic tables, must have been left lying around by the Romans when they left 400 years earlier – together with instructions for the testudo or tortoise formation. They can’t even get the basic facts right. 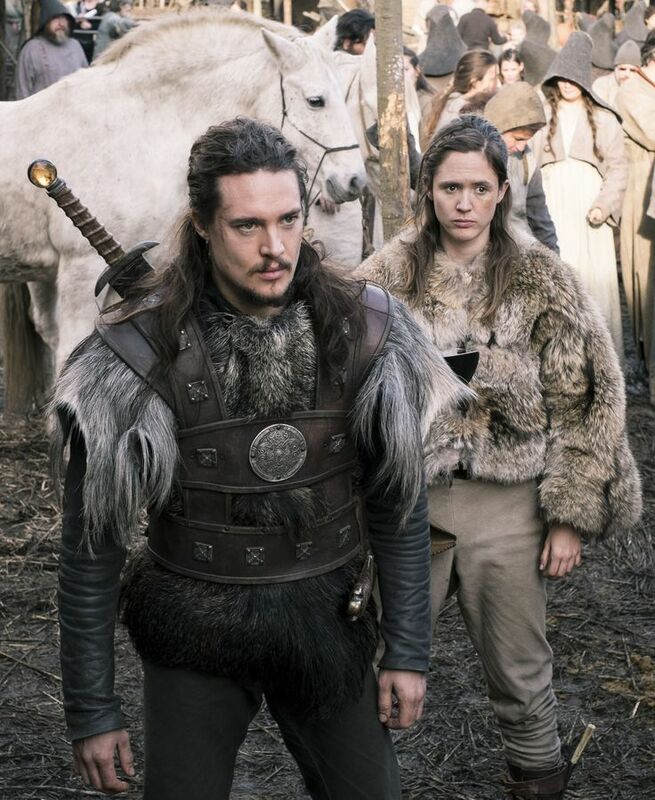 In the fourth instalment, Uhtred is given some land. Wife and debt come attached – I’m OK with that. But that now makes him a Thegn, not an Ealdorman. I could go on, but I’ll leave it there. After all the whole point of a book, or a film, is the story. The original books were (are) exciting and entertaining. The TV series has, thank goodness, stuck fairly close to them. By the end of the series I will probably come around and enjoy watching it. or “that didn’t happen there, and where did that wisteria come from?” or was that Wolf Hall? I am still waiting to see if we get battle after battle… do hope the characters and relationships have a chance to develop. Drama may do more here than in the books? Noticed there haven’t been many battles – probably more expensive to film.